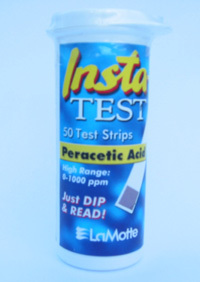 Lamotte peracetic acid test strips. Range is 0 - 1000 ppm. Gradation is 0, 50, 100, 250, 500, 1000 ppm. 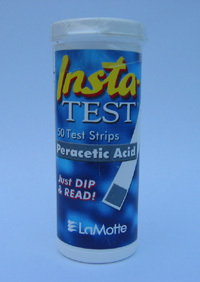 50 strips per vial. 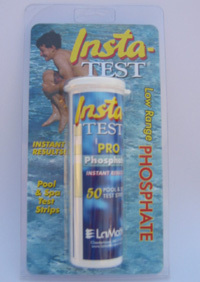 These strips measure PAA in stronger disinfecting solutions. Example; if a bulk disinfectant has 5% PAA and this is diluted for CIP by 1:250, this will give a final PAA concentration of 200 mg/l.